I wanted you all to be the first to know. I’m going home for the week.The photo is of one of my views. Can you believe it? I just can’t tell you how lovely St. Savinien is. Away from the urban madness I will live properly again. I’m just so lucky. It’s half term in the UK so I’m free from the bus. Gilles works for an Anglo/French company and he’s convinced them that the corporate thrust needs to be applied over there for a few days. Poor old geezer should retire really but I don’t think they do retirement any more. Soon there will be a mass army of unemployed young people who’s only work will be as coffin bearers as all the old folk work themselves to death at all the jobs the young should be learning and taking on. I might write a book about it called “For whom the bell doles”. For the benefit of non natives the word “dole” means unemployment pay. Ooh I’m a cynical old cow. Quiet day on the bus. At the tower block, intercom mom told me that her lad was “not really up to it today.” I asked if he had been kind to her. “Ee’s been a right little darlin’ Emma,” she said with a genuine smile in her voice. Somewhere in the concrete sky above me was a little warm sense of love. Ah – made me feel quite motherly smotherly. Gotta get stuff in the car and calm myself. Much will be forgotten I’m sure. This time tomorrow I’ll be home, gabbling to friends in French, wondering about dinner…..and the possibility of cassoulet du lapin. I love my man and this is the only proof he ever asks. Can a woman deny her man a nice bit of hot furry game? Emma thinx: Don’t just sit there. – Boo something. Be a fan not a spectator. 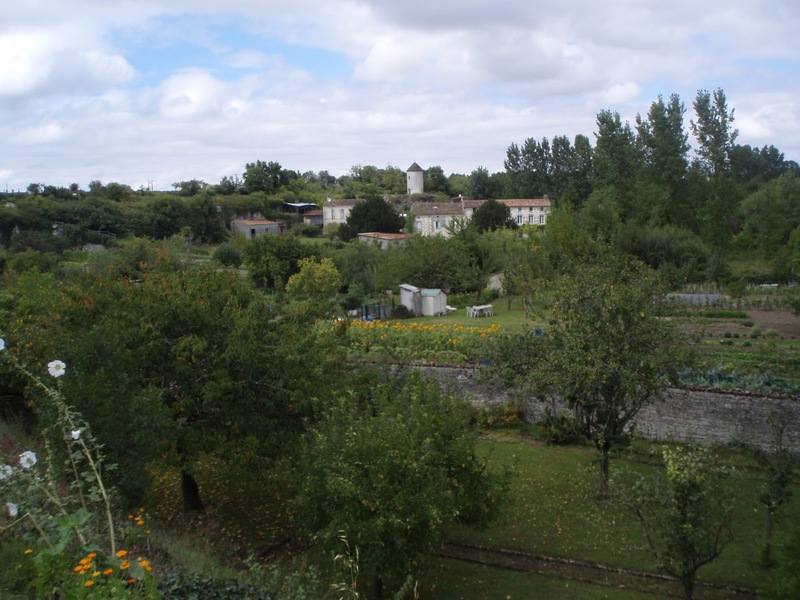 This entry was posted in Charente-Maritime, Cuisine, Emma Calin, France, Youth Unemployment by emmacalin. Bookmark the permalink. Oh my gosh, girl. That view is incredible! Can't wait to see you at the Warm Fuzzies Blogfest next week!